I am interested in all kinds of fiction and I chose to read and review this book because I thought that it sounded like it could be interesting. 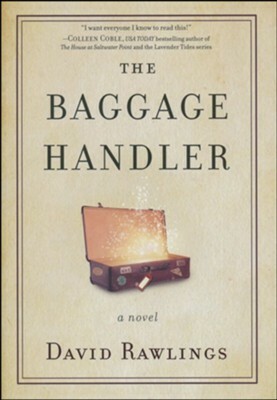 The Baggage Handler shares the stories of three different individuals and the baggage that they are taking with them as they go through life. This book shares how those individuals must deal with their baggage if they want to move on with their lives. Those who are feeling weighed down by baggage in their own lives might appreciate this book. This could be something that almost any adult would appreciate and find to be applicable in their lives. This book is really easy to read. The chapters are short and I liked that. The characters in this book seem really real. ...but the message is flawed. *SPOILER* There is a man in the book who is dealing with the fact that his wife cheated on him. In order to release the baggage that he is dealing with because of that, he is told that he must forgive her and basically that he must go back to her and repair their marriage. He is also shown how he is to blame for her cheating on him. The book just wasn't as deep or emotional as I wanted it to be. Overall, I thought that this book was interesting but also disappointing. I give The Baggage Handler 3 out of 5 stars.